A mob boss getting a shave — it’s one of the iconic images in cinema, a classic visual trope of power and vulnerability. So here is a barbershop anecdote that will pull together some of my recent blog posts in a more visceral way. This took place on the Universal studio lot in the 1930s, which was the site of corporate intrigue and power plays, to say the least. 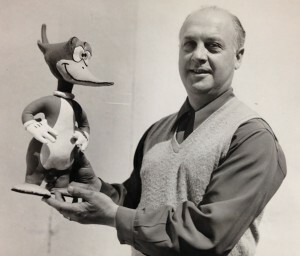 This is a showdown that I have referenced recently, but to really understand the dynamics of what happened, this anecdote is best heard in the words of one of its participants, Walter Lantz. 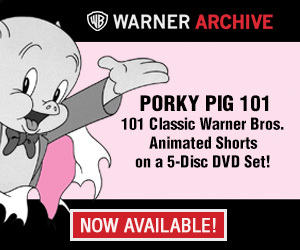 One of his foremost employees, Tex Avery, had recently suffered from an on-the-job prank and lost his eye on account of co-worker Charles Hastings (click here for the detailed story). Yet Tex rebounded, showing both an unflagging spirit and a surplus of ambition. 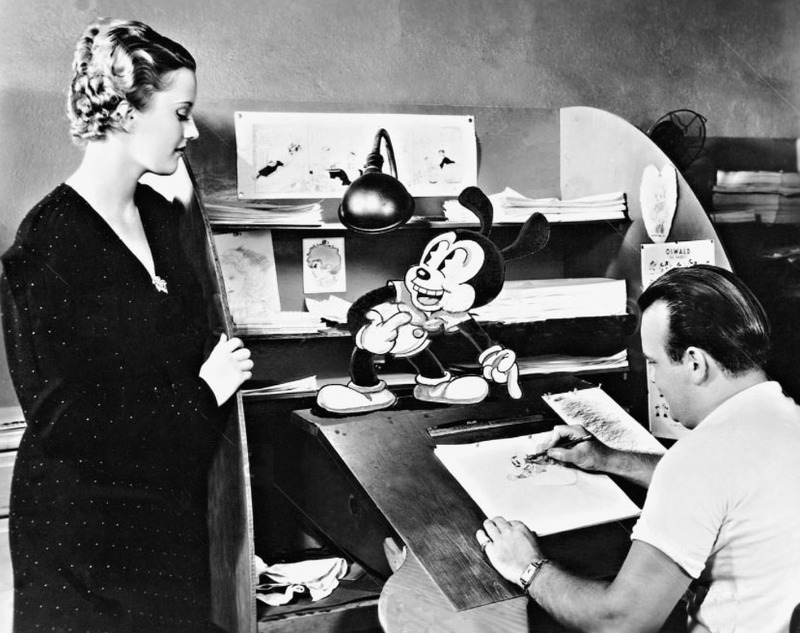 Perhaps thinking that Universal owed him something in the wake of the accident that impaired him—or maybe just inspired by a number of animators who had previously jostled to produce the Oswald cartoons—Tex made a serious play at Walter’s position overseeing animation at the studio. There seems to be plenty of stories from the Golden Age where producers present themselves as hopelessly clueless to the artists who report to them, so let this be another in that fine tradition. 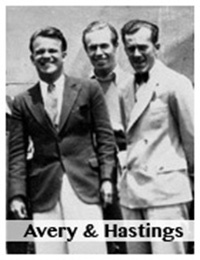 A Universal executive named Henry Henigson was a longtime production manager for owner Carl Laemmle. Henigson kept an eye on Lantz’s expenses, but he seemed a bit theatrical or pretentious in how he dealt with meetings, often summoning Walter to first watch him get lathered and shaved. Of course, so too was Walter. His resulting wealth and success remain a tribute to his prudent business sense. However, it is interesting to note that there is a third overlap between these two legends—Avery and Lantz—and that is the author Joe Adamson, who provided each man his most consequential book-length treatment, the only ones which appeared within their lifetimes. After he wrote Tex Avery: King of Cartoons, published in 1975, Adamson wrote The Walter Lantz Story. And the introduction to that book is by director Frank Capra, who incidentally also had a pivotal moment in his early career that spun at the mercy of the very same Universal executive: Henry Henigson. I’ve owned and reread both books regularly over the years (stupid me for not bringing them with me to Asifa screenings and having Adamson sign them) but this is the first time I’ve seen the relationship between Avery and Lantz a lot clearer. The books seem to be very diplomatic about the situation mentioned in this article, perhaps not to stir up any hard feelings between both men who were, as mentioned, still alive when they were published. Thanks for clearing that up. My brother had the original Avery book from the 1970’s and I have the later updated version from after Tex died. I’ve had both the Avery and Lantz books for so long that the dates of what I got when have been blurred in memory. I still like pulling them off the shelf and reading them without any batteries or AC. As a follow-up to Joe’s comment, Walter Lantz also told me the same story, privately, and not within the context of a book being written. As I remember it, however, he said that he fired Tex after that. I also remember him telling me in colorful detail how much he tore into Tex when Tex returned to his studio. I also remember Walter discussing at length one day how Tex’s “greatest weakness,” in his opinion, was that he wasn’t able to come up with a lasting, recurring character that audiences wanted to see. None of the characters Tex had even invented “stuck” with audiences, as Walter explained. And popular recurring characters, like Woody Woodpecker, for better or worse, were where the money (and studio longevity) was. John, thanks for sharing what Walter told you, and I had it in the back of my mind because you once mentioned. However, I don’t believe the timeline of Avery’s Universal years allows for a version where Lantz immediately fires Tex once he hears about the Henigson meeting. That’s because Tex was actively recruiting animators to come with him to Schlesinger and he had the leeway over weeks to persuade co-workers to join him so it seems harder to believe that Tex had even been summarily fired and marched off the studio lot. I tend to think the Henigson meeting was a first attempt by Tex to move up the ladder, and when it failed (for which Lantz surely must have called him out or as you say “tore into him”) he then looked at other opportunities, which led to the Schlesinger directing deal. 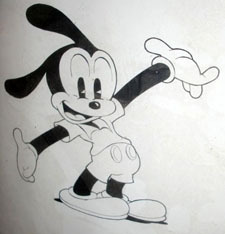 Another possibility that allows both versions is this: Lantz would hire his artists on roughly year-long contracts, tied to the length of the Oswald renewals, so if Lantz had ever told Avery that he “was fired” but it happened at the beginning of a contract term, then Lantz may have been obligated to keep Avery around on a sort of “lame-duck” status. It’s just one more bit of speculation in a period of Tex’s career that we can only now piece together from scraps. If that’s the case, then one can imagine the strong incentive to get a deal elsewhere, but I have never heard accounts of other animators suggesting that Tex was not renewed and had to leave Universal.